This post was sponsored by Vega, who provided me with a welcome kit of their protein powders. 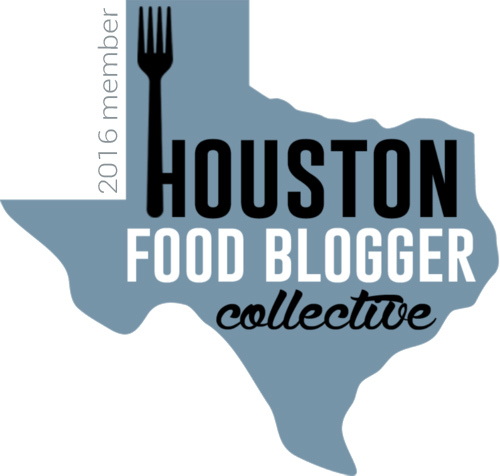 I was not monetarily compensated for writing this recipe post. Additionally, I am not a nutritionist nor fitness expert. Please consult your physician prior to beginning any health program. These opinions are solely my own and in no way should be construed as medical advice. It's about to get dang hot out. You need a smoothie (as soon as it stops RAINING). I'm sorry, did I say you need a smoothie? My bad, you need TWO smoothies. And you should probably make them with some healthy Vega protein powder because, we're in love, we're in love, and I don't care who knows it! 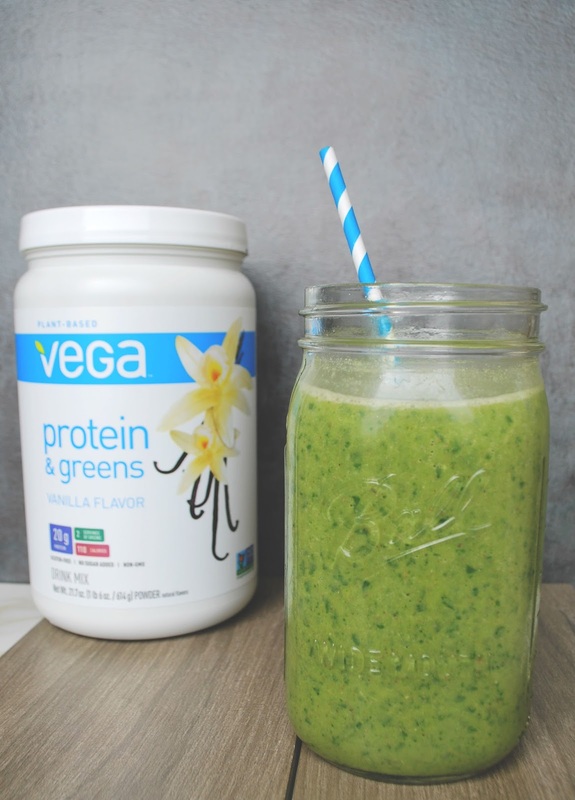 <~~(name that movie) I've been using Vega protein powders in my smoothies for a while now, and I absolutely love everything they're about. Their products are plant-based, clean (vegan, gluten-free, non-GMO, dairy-free, soy-free, artificial flavor/sweetener free), and just downright delicious! 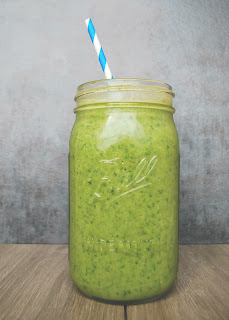 The first recipe I'm sharing today is for my Green Machine Chia Smoothie, aka my tried and true smoothie I make on the reg. This smoothie recipe is so good y'all. AND healthy. It's protein-packed, vegetable-packed (hullo, leafy greans), creamy, and not overly sweet. 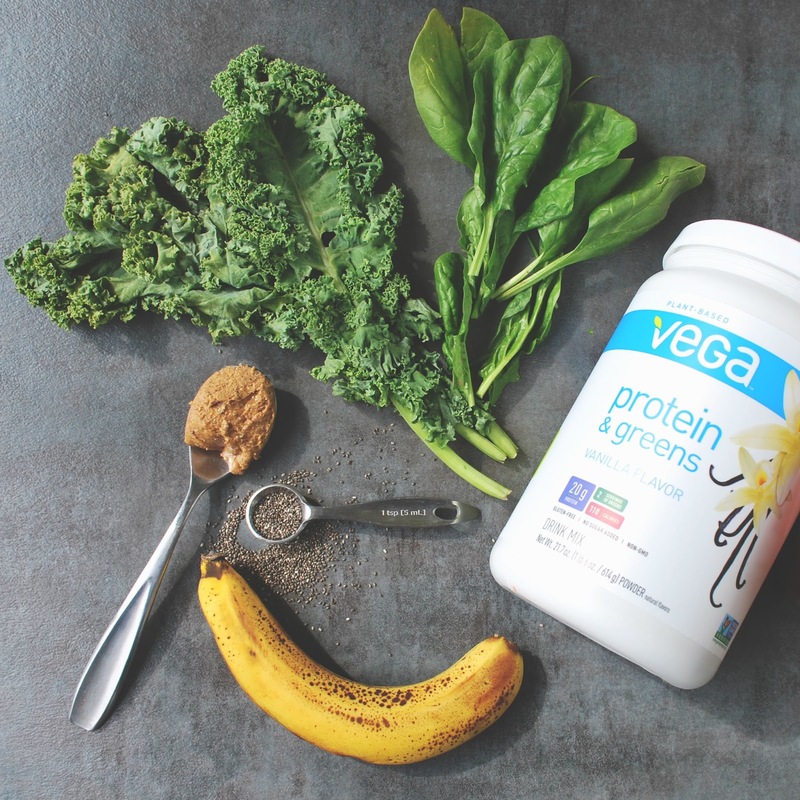 The Vega powder has a light air of vanilla magic, the almond butter adds the right amount of nuttiness, and the agave gives it all the sweetness it needs. It clocks in at about 464 calories (and it's all super healthy), but if you're calorie-counting you can always modify some of the ingredients to suit your needs. But really? Just make the dang thing already. You won't regret it. 1. Massage your kale under running water for about a minute, to get ride of some of the bitterness. 2. 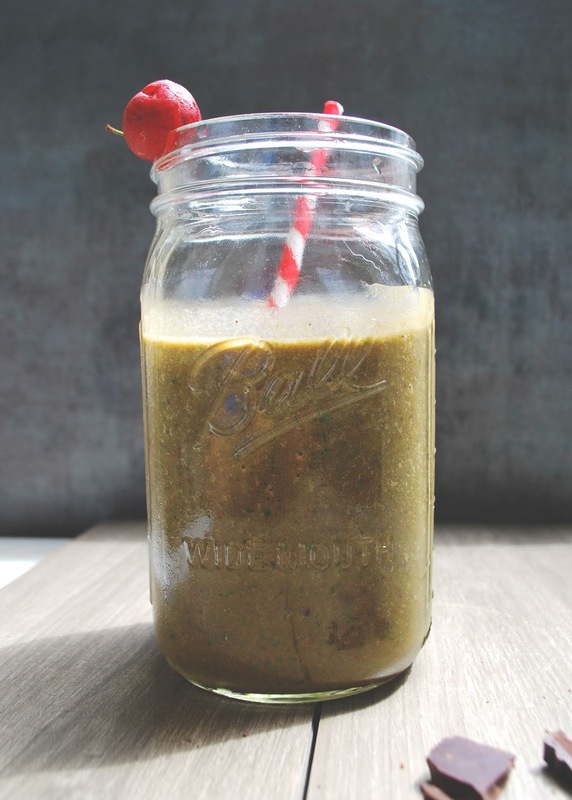 Throw all ingredients into a blender, and blend until it reaches your desired consistency. As incredible as it was terrible for me, to be sure. It's probably been 15 years <~~(I AM SO OLD.) since I've tasted this sweet nectar of the sugar coma gods, but it's taste has been ingrained so hard on my buds that I'll never forget it. With a bunch of fresh, in-season cherries in my fridge that cost a mere $37 at the supermarket (WHY ARE CHERRIES ALWAYS SO G.D. EXPENSIVE?!) and a tub of Vega chocolate protein powder on hand, I knew what I had to do. Again, feel free to adjust this recipe to fit your dietary needs, but WHY WOULD YOU, because I'm telling you, it's perfect in every single way. 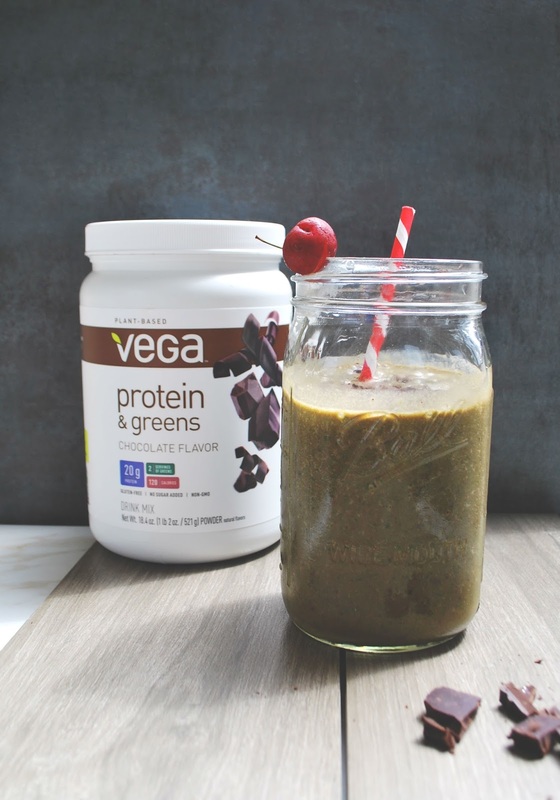 The Vega chocolate protein powder is like none other that I've ever had in that it gives you a perfect, milky, chocolate-y flavor without any weird aftertaste (as protein powders often do). Plus of course, it's so healthy and good for you. Paired with super ripe sweet cherries, and a dash of bitter dark chocolate (for good measure, ya know? ), this recipe makes one OUTSTANDING drink. It may be sacrilegious to the memory of teenaged Kim to say this, but my chocolate-covered cherry smoothie recipe blows Sonic's shake out of the water, errr-- milk(?). Plus you're getting those healthy leafy greens again, and when you're in your 30s, these things are important. 2. Throw all ingredients into a blender, and blend until it reaches your desired consistency. If you want your baking chocolate to remain chunkier (I did), leave it out of the blender, and coursely chop it up separately, topping the smoothie off at the end. Both of these recipes are completely different in taste, but are wonderful for two similar reasons: They're healthy, and they're knock-your-face-off delicious! 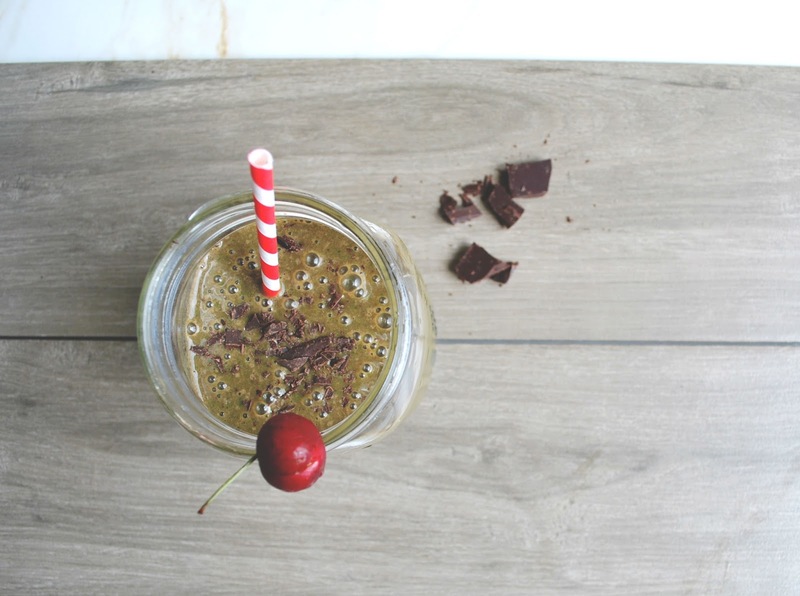 If you need to cool off with some nutritious deliciousness, these smoothies are the way to go. 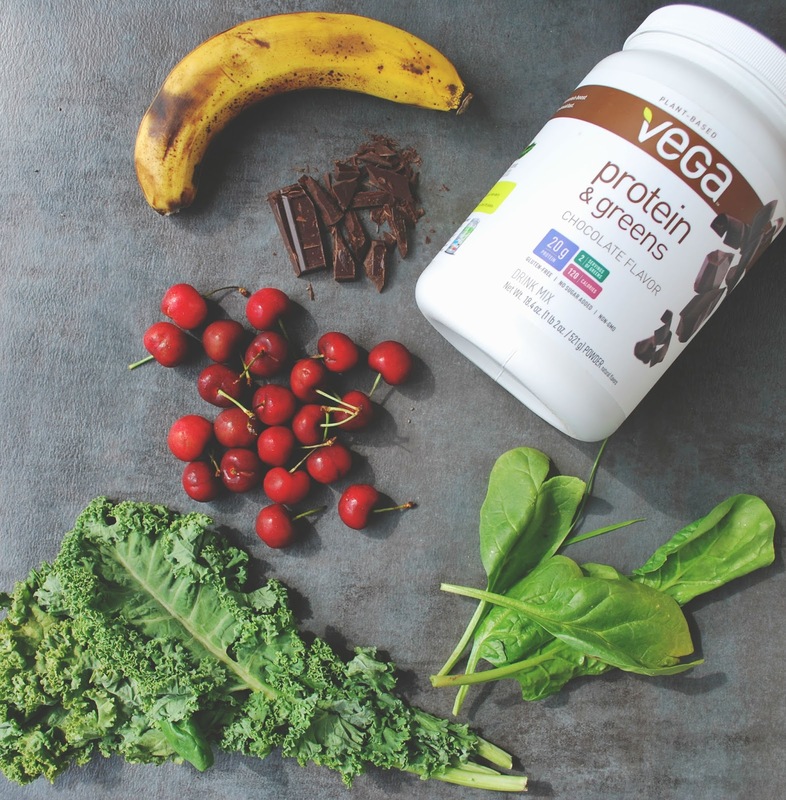 And if you're needing that extra dose of love and protein (I mean, who isn't), I cannot recommend Vega's insanely tasty, incredibly good-for-you powders. I'm also a HUGE fan of their sport protein powders shaken up with some almond milk after a workout. They are where it's at! 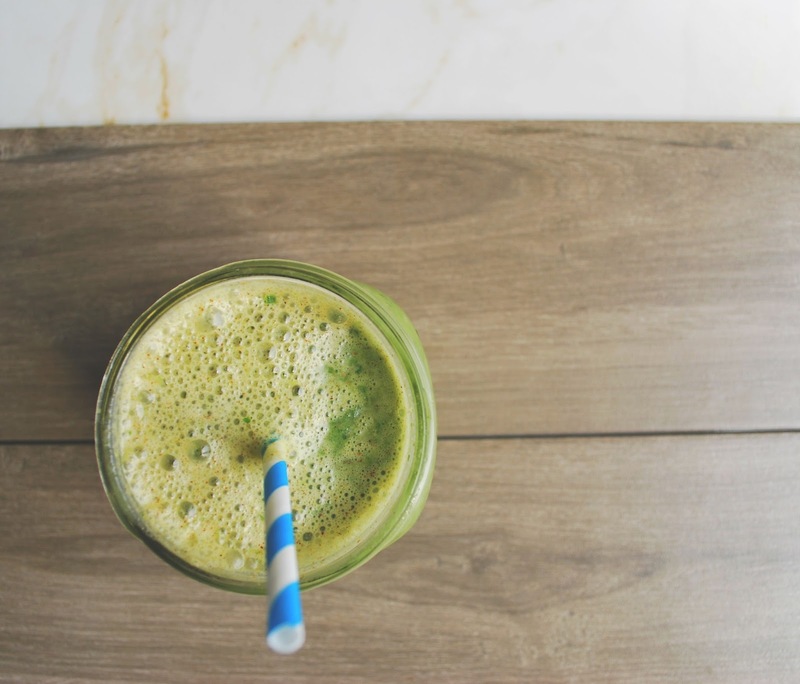 You actually probably need five smoothies.